SAFF Football: Final match between Nepal and India on Friday - Integration Through Media ....! 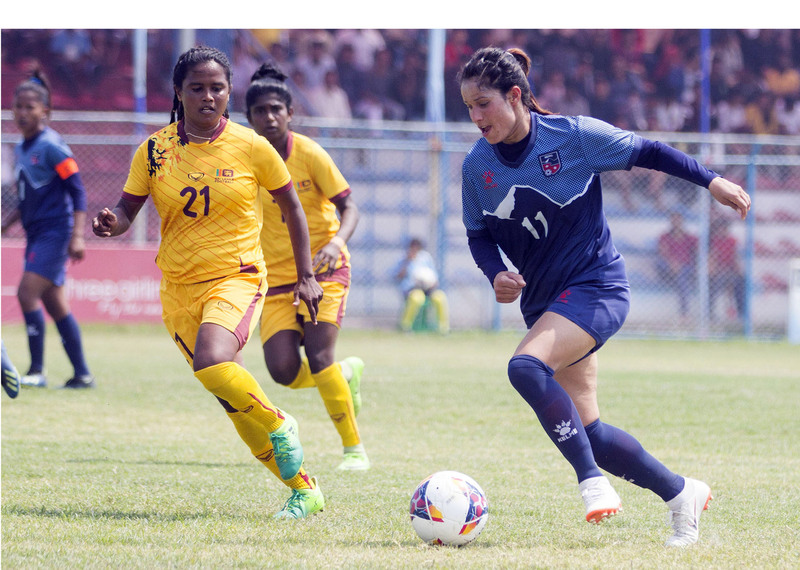 BIRATNAGAR: Nepal and India will face each other in final match of the 5th Women SAFF Championship. Hosts Nepal and India made it to the final with convincing wins in the semi-finals held at the Sahid Stadium in Biratnagar today. Nepal trounced Sri Lanka 4-0 and India also defeated Bangladesh with the same margin in the first and second semi-finals respectively. The final match will be held between Nepal and India at the same stadium on Friday.